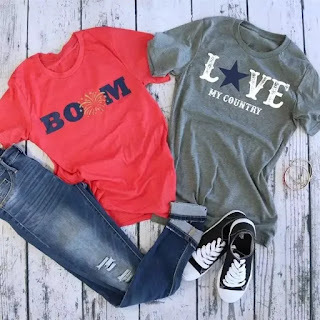 Check out these Love My Country Tees for ONLY $13.99 (Retail $27.99)! Show off your patriotism with these incredibly soft printed tees! With Unisex sizes, these are perfect for anyone to show their love for their country just in time for the 4th of July! These tees look great paired with Summer shorts or Jeans!